Be one of the first to drive the all-new 2020 Kia Soul! 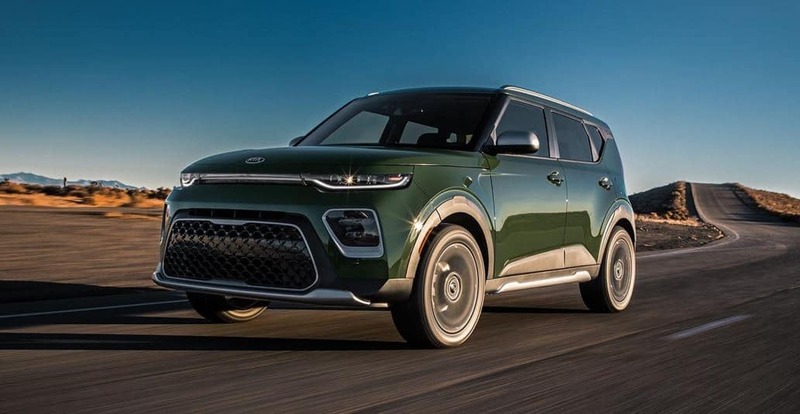 When the 2020 Kia Soul arrives, we will reach out to you and schedule your exclusive test drive. The all-new 2020 Kia Soul. A legend, reinvented. Whether you’re darting around the city or cruising to your favorite vista, travel in style with the X-Line’s unique 18-inch alloy wheels. What’s more important, seeing or being seen? Who said you have to compromise? The all-new 2020 Soul features a boldly redesigned exterior that’s packed with technology, like available LED daytime running lights to help you illuminate the world around. Available exclusively on the new X-Line trim, unique color combinations set the X-Line apart, whether you’re navigating the city, or out on the road to adventure. A small footprint on the outside doesn’t mean small on the inside. With an expansive cargo area, 60/40 split-folding rear seats and an available dual-level cargo board, you can pack more into the all-new 2020 Soul than ever before. *2020 Soul X-Line pre-production model shown with optional features. Not all optional features are available on all trims. Production model may vary. Expected availability Spring 2019.